Arnason, Johann P., and Murphy, Peter (2001) Introduction. In: Arnason, Johann P., and Murphy, Peter, (eds.) 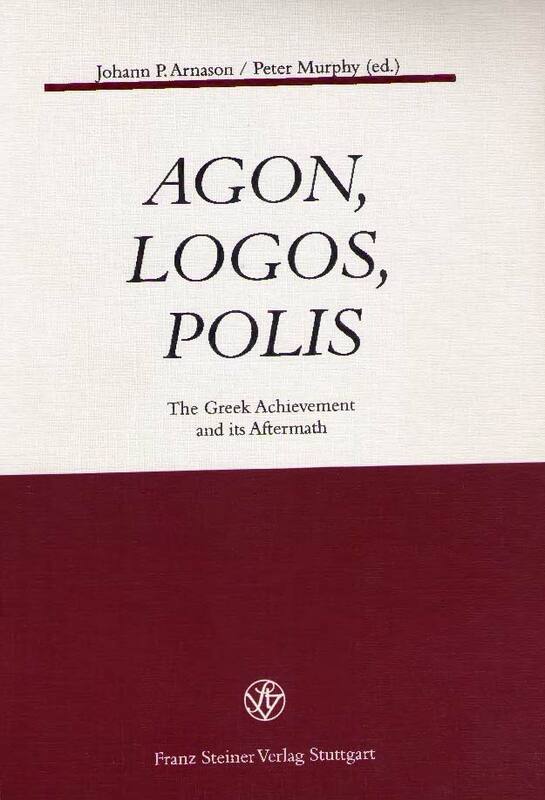 Agon, Logos, Polis: the Greek achievement and its aftermath. Franz Steiner Verlag Stuttgart, pp. 7-14. [Extract] The persistence of interest in the Greeks is a salient feature of contemporary thought. At its most elementary, the Greek connection may not go beyond the scope of ideological strategy. In the last two decades, conflicting accounts of the Greek achievement have thus served to stake out positions in the North American "culture wars"; Allan Bloom's The Closing of the American Mind (1987) and Martin Bernal's Black Athena (1987) are the obvious cases in point. But the alternatives of traditionalist reaffirmation and radical debunking, exemplified by these two books, do not exhaust the field. Various recent works have brought Greek perspectives to bear on modern problems in more innovative and exploratory ways. In Republics Ancient and Modem (1992), Paul Rahe forcefully restates the classic contrast between ancient and modern paradigms of liberty, while I.F. Stone's The Trial of Socrates (1988) rehearses the issues of freedom of speech and civil liberty against the backdrop of Socrates' trial. 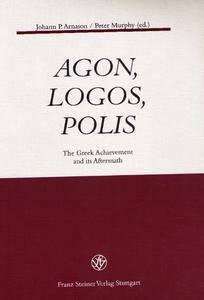 Paul Cartledge's The Greeks (1993) similarly addressed contemporary questions (men vs. women, freeperson vs. slave, citizen vs. alien) through the mirror of the Greek polis. Peter Euben and his colleagues, in Athenian Political Thought and the Reconstruction of American Democracy (1994), move much closer to the Greek side and press the case for the relevance of the ancient polis to the remaking of contemporary American democracy. In a different context, Martha Nussbaum (The Therapy of Desire, 1994) presented ancient (stoic) psychology as a tonic for the distresses of moderns while the final two volumes of Michel Foucault's History of Sexuality (1985) explored Greek sexual ethics as an alternative to both Christian and modern moralities.